Hello GYCT readers!!! 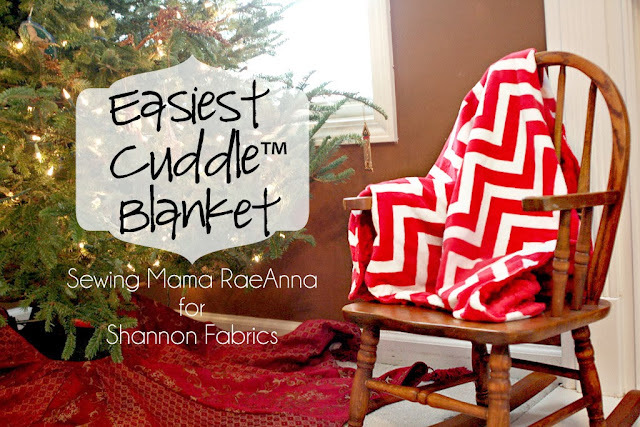 I'm RaeAnna over at Sewing Mama RaeAnna and I'm sharing a tutorial and pattern I made for Shannon Fabrics last month because Cuddle fabric makes the BEST baby blankets! When I was brand new to sewing, a friend of mine was having a baby. I wanted to make her a blanket but all the tutorials I found at that time had bindings, bias tape, etc. and scared the heck out of me! I finally just tried my hand at some basic sewing techniques and her blanket turned out great! I even made a fast printout if you are new to sewing and want to start with this simple project. A yard of Shannon Studio Cuddle™ fabric is 60 inches wide so when you order 1 yard it makes the perfect size for a baby blanket! I made this blanket by taking a yard of the Cuddle Dimple in Red and a yard of the Red/Snow Chevron - cutting them each in half so I had 30"x36" for my blanket. Pin your fabric with right sides together. 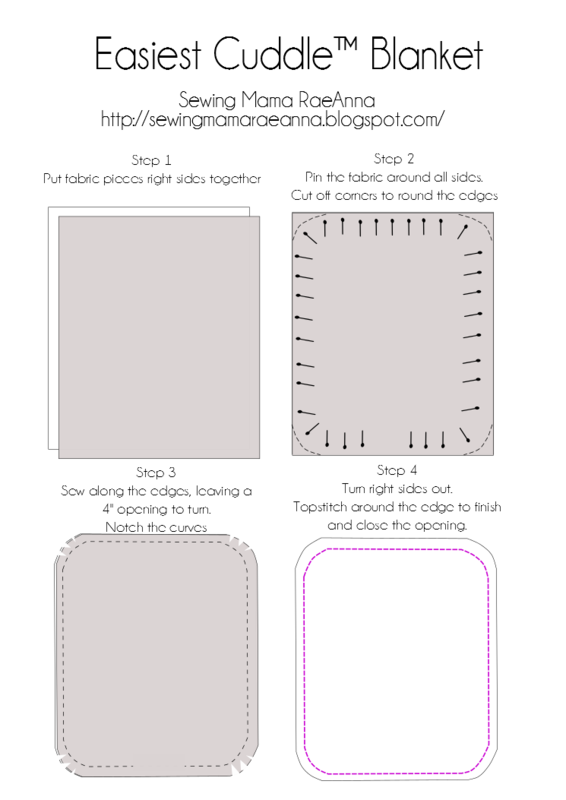 Sew along the edge of the fabric and notch the corner edges with your scissors. Turn right sides out and topstitch along the edge to finish and close the 4" opening. 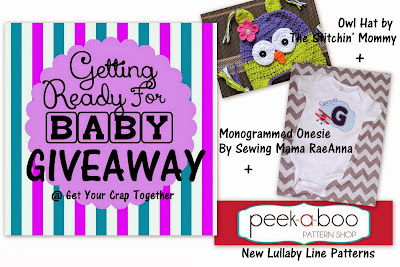 And I can't wait to find out the winner of the baby applique onesie! Thanks RaeAnna! She is so talented! Make sure to follow her on her blog! 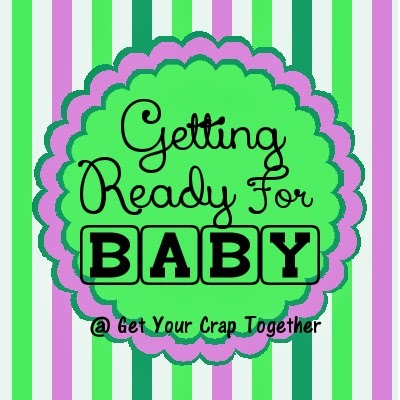 I hope each of you are following along with our Getting Ready for Baby Series! Get more HERE! Sign up to win!! Giveaway closes on Sunday! Winner will be announced next Monday! !